Clinical support desks – Hearing and treating patients! 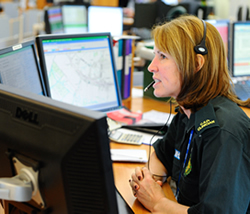 Have you heard about the clinical support desks in the Trust’s control rooms? Clinical General Manager Darren Maguire gives his perspective about their function, their benefits and what you can expect if your 999 goes through to the desk. This entry was posted in 999, Ambulance Service, Calling 999, Clinical Support Desk, Emergency services, Right Call. Bookmark the permalink.